Today we did the culture tour. 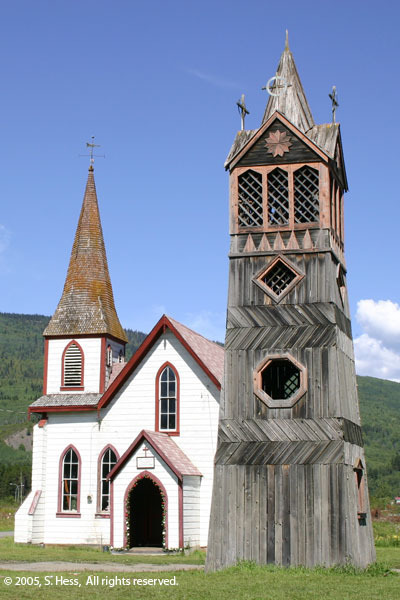 Kitwanga is one of several affiliated First Nation (Native American) villages collectively known as The Hazeltons. We visited several of these villages. 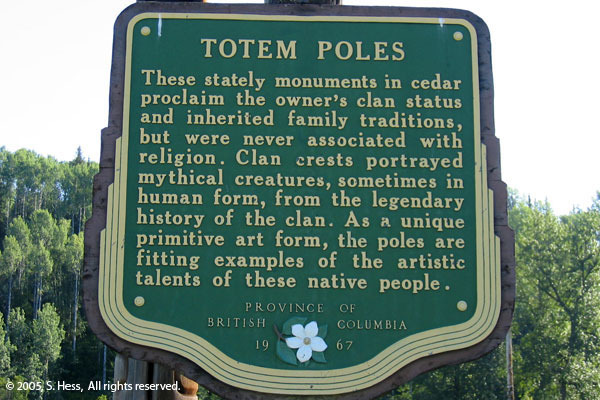 Before describing the villages, here is some information about totem poles. 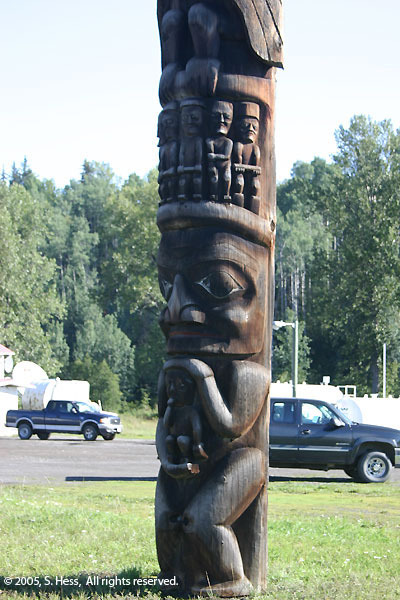 Totem poles are not religious objects as commonly believed. They are story tellers... usually family or clan myths. 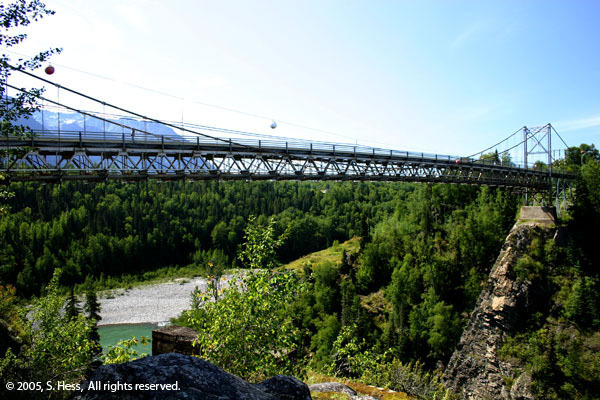 They are used to commemorate a person upon his death or some significant event. 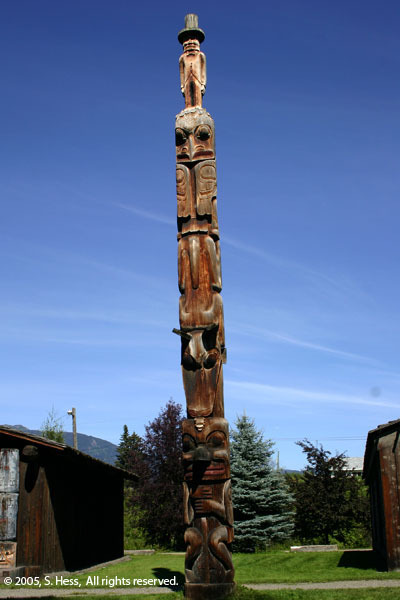 Totem poles are read from the bottom to the top figure as it points skyward. 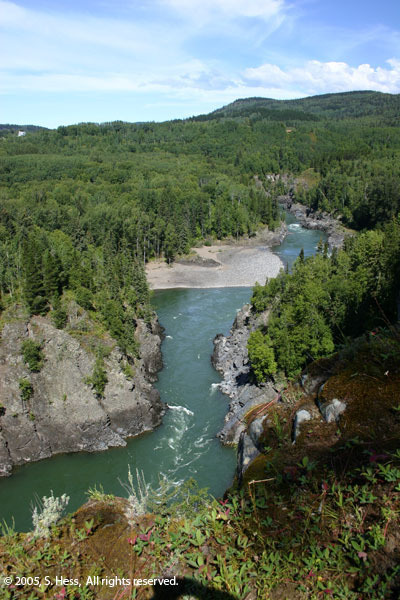 The first village was Gitanyow, 12 miles (20 Km) north of Kitwanga. 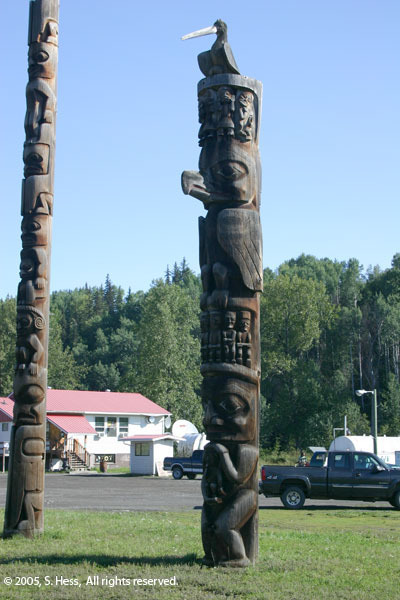 It is said to have the highest concentration of totem poles in northwestern British Columbia. 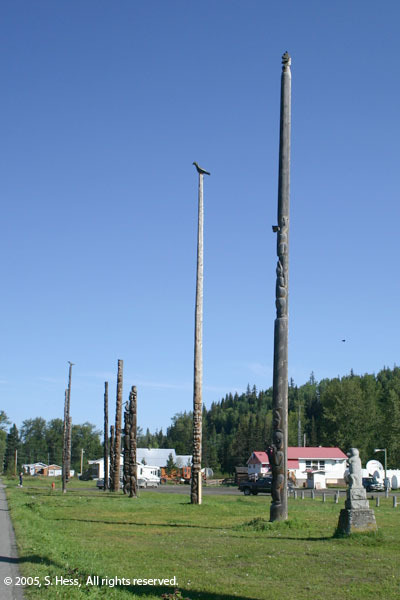 Some of the poles in this collection are over 100 years old and have been moved to their current home from all around the village. 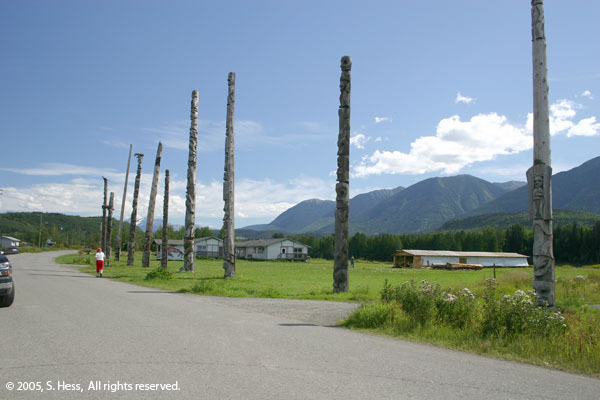 We then drove over the old Hazelton Road, 25 miles (40 Km) of winding dirt road to 'Ksan Historic Village in Hazelton. This is a recreation of the old village. 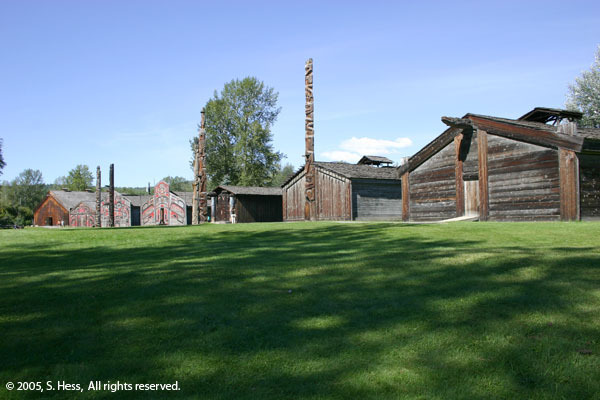 Some of the totems and buildings are original and were moved to their current location while others were built as part of the recreation. 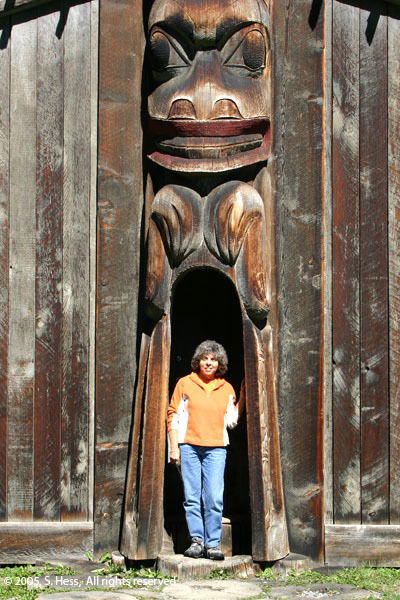 The third village was Gitwangak (Kitwanga) which also had a collection of totems, some of which were over 200 years old. 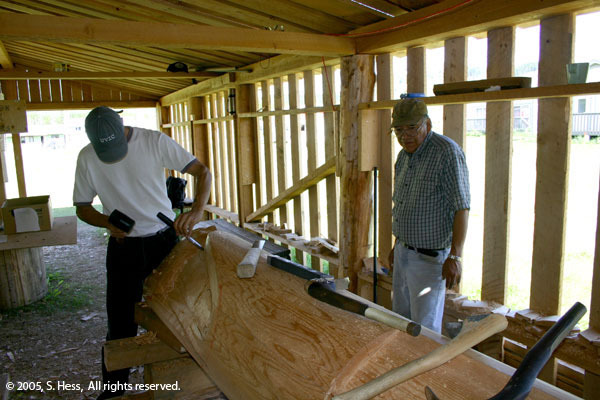 What made Gitwangak more interesting was the new carving shed. 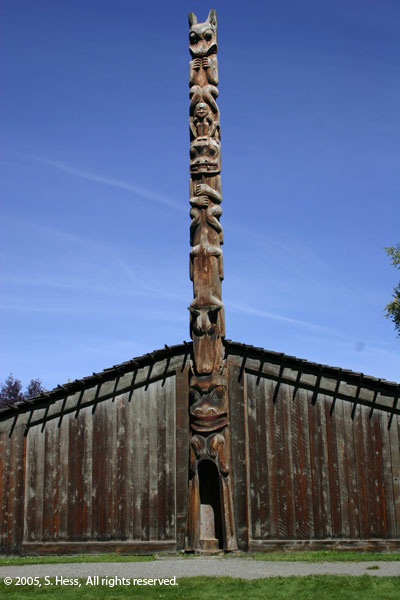 In the shed, a master carver was teaching younger men and women the art of carving the poles out of ceder. 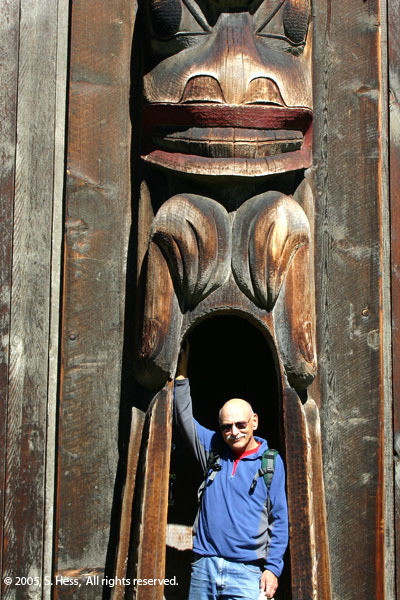 The major focus for these carvers is to reproduce the existing collection of poles to replace the originals as they deteriorate. 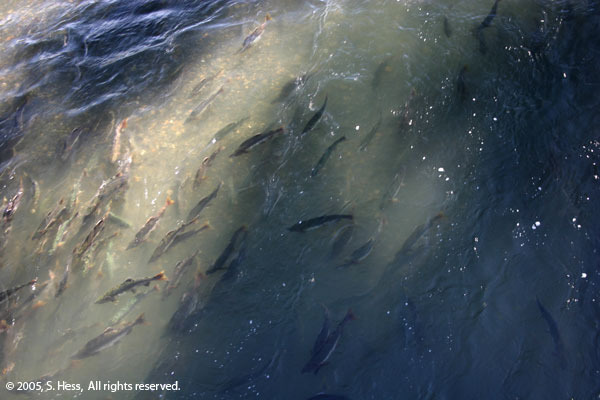 Our final visit of the day had nothing to do with totem poles... it involved thousands of salmon. About a mile from the campground is a fish counter. 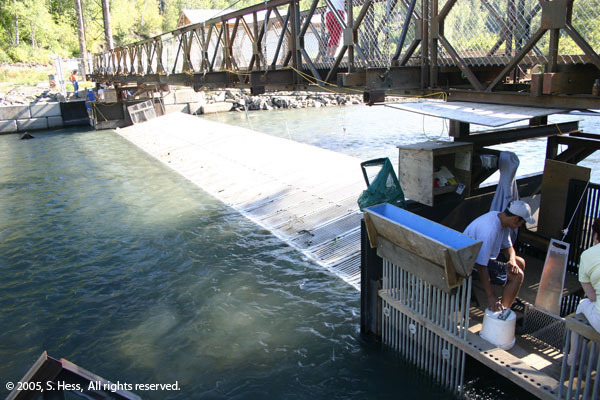 The Kitwanga Fisheries ( a First Nation organization) working with the British Columbia Ministry of Ocean and Fisheries are trying to develop data on the migration patterns of this particular stream. 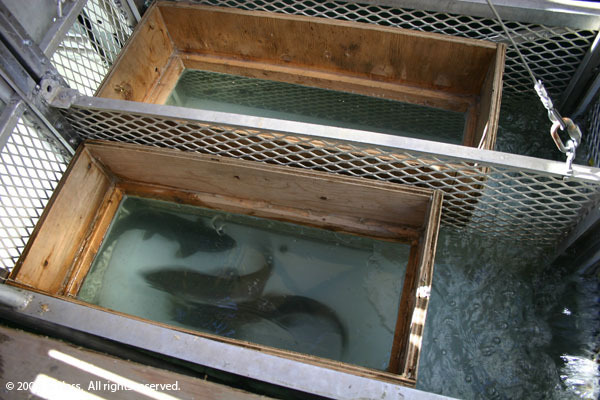 The counters are completing a 100% count of the salmon migrating up the stream. 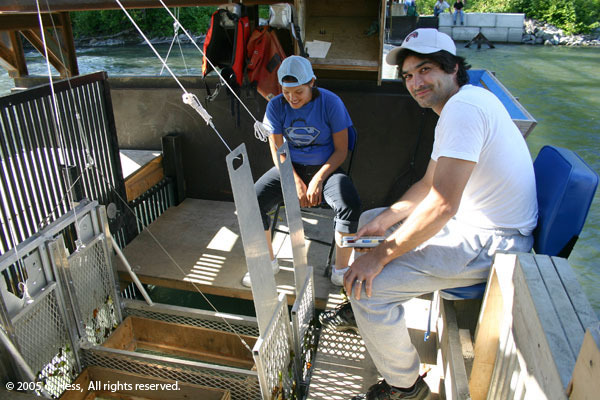 They count each species individually and also take DNA samples from some of the fish to determine their home stream. One of the young carvers created these dance masks. 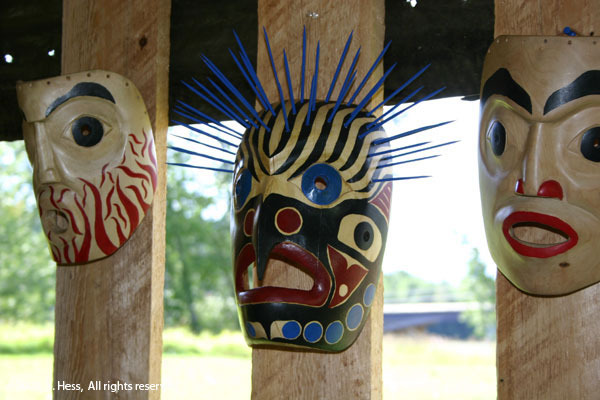 The center mask is called the Spirit Fly and has three eagle faces, center (carved) one on each side (painted). 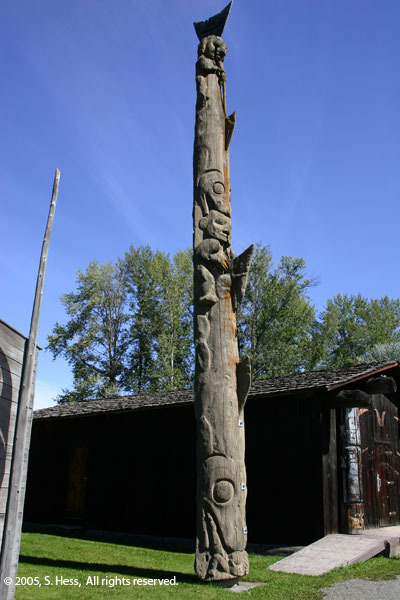 He copied it from a portion of his family's totem.